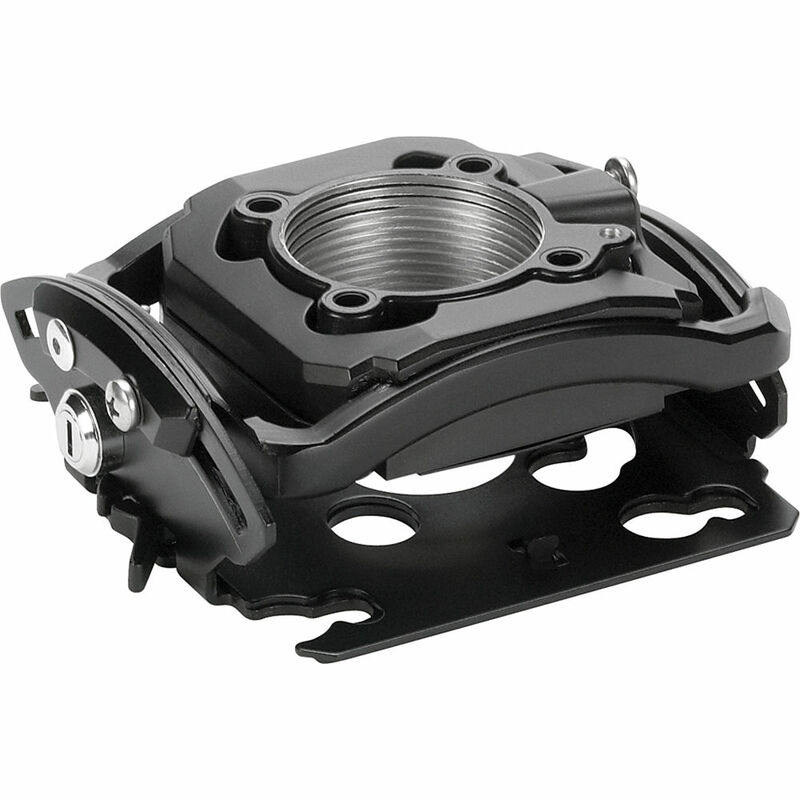 The Chief Mini Elite Custom Projector Mount (Lock C) with SSM243 Bracket allows you to mount smaller projectors weighing up to 25 lb (11.3 kg). A miniature version of the RPA Elite, the Mini Elite Custom Projector Mount offers MicroZone adjustments, allowing for quick and precise projector registration. Centris technology allows for fingertip tilting and rotation of the display, and automatically adjusts the mount to support different projector weights. An integrated key and lock system ensures enhanced security and service with a Q-lock quick release lever that allows quick connecting or disconnecting the projector. Integrating a hassle-free cable management system, the Mini Elite Custom Projector Mount prevents tangling and damage to the cords, and helps in reducing clutter. The Mini Elite Mount also includes features such as independent roll, pitch, and yaw. Including locking hardware at all key connection points, the all-points security system ensures protection against theft. Spacer, Nylon, 1/2 x 0.194 x 3/8"
Box Dimensions (LxWxH) 9.0 x 9.0 x 4.5"